Perma MRA - WB is supplied as a pale amber liquid which turns white when diluted with water to produce a chemical release agent, combining the outstanding release properties of such materials with the economy of a conventional oil. It reacts with the alkali in the concrete to form a thin water repellent skin on the surface of the mould which enables easy stripping from the hardened concrete. Uses : For easy and stain free release of concrete moulds and form work of all types. Particularly where wooden form work is used and de-moulding or stripping times exceed 24 hours. 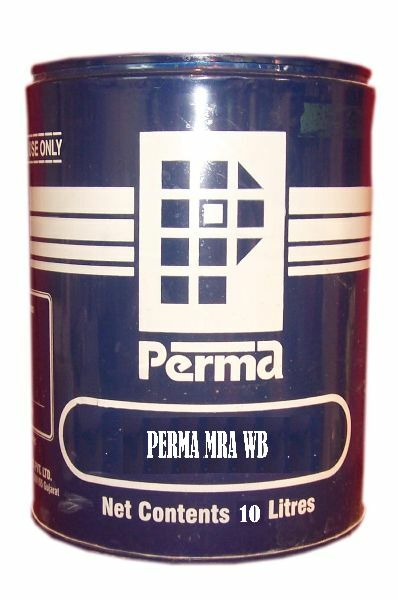 Packing : Perma MRA - WB is supplied in 10 Ltr. and 100 Ltr. containers.